PESU Cycle is a Chinese company from Shenzhen that appears to have entered the US market in August 2017 as PESU Cycling USA Inc. launching a Kickstarter campaign for their affordable XC Monster electric bike. Their e-bike products use the TTIUM mid-motor and come with a 7 days no-questions-asked return policy and 30 day free exchange policy. PESU stands for Power Energy Speed Unlimited. 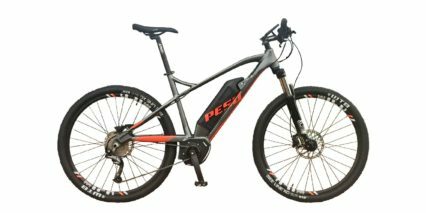 Official statement: PESU Cycles (Shenzhen) Technology Co., Ltd. was established in 2016, focusing on product design, research and development, marketing and sales of mid drive pedelec. PESU Cycle will strive to achieve greater market in the field of pedelec which in high speed growth, rely on technical superiority and professional ability. PESU Cycle’s mission is to become an internationally renowned mid drive pedelec’s brand.